The camps were initiated with dental awareness talks educating families and children about common dental ailments, with a focus on tooth decay and gum diseases and measures to prevent them. 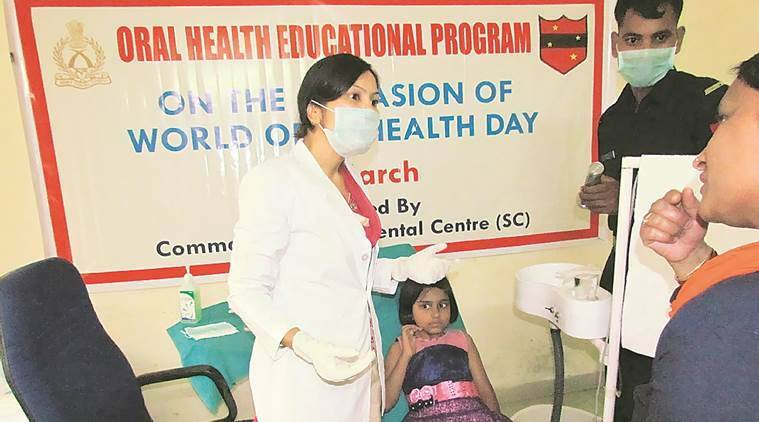 The Army Wives Welfare Associated (AWWA) conducted dental checkups and awareness camps for families, children and veterans of the Pune Garrison between March 10 and March 20 to mark World Oral Health Day, celebrated worldwide on March 20. The camps were initiated with dental awareness talks educating families and children about common dental ailments, with a focus on tooth decay and gum diseases and measures to prevent them. The participants were told about eating patterns and food choices causing tooth decay. They got the opportunity to interact with dental surgeons to ask questions concerning oral diseases. Afterwards, oral hygiene kits were distributed to those who attended. The camp was a continuation of activities conducted by the Command Military Dental Centre (Southern Command).